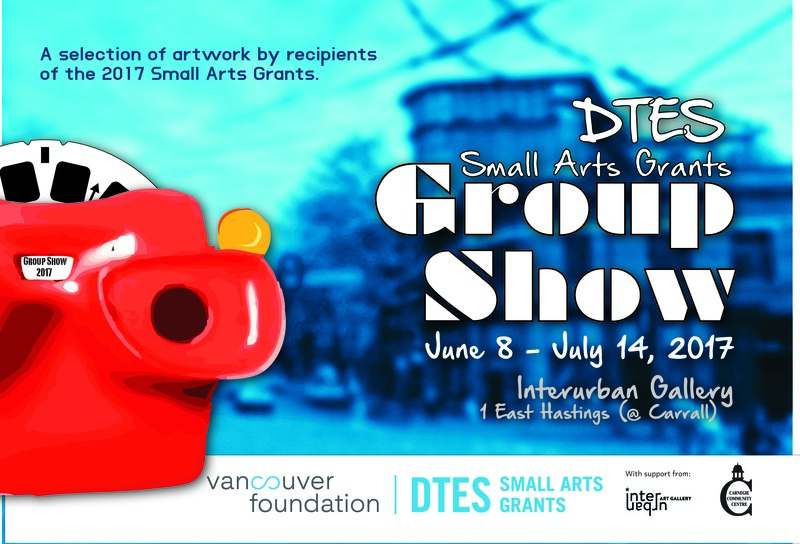 Vancouver Foundation and Carnegie Community Centre are proud to present the 2017 Downtown Eastside Small Arts Grants Group Show. The show is free to enter, and runs from June 8 to July 14 at the InterUrban Art Gallery. Curated by new media artist and designer Jen Castro, over 30 grantees will exhibit their art in a wide range of mediums including painting, mixed media, music, photography, literary arts, textile, ceramics, sculpture, and more. Many of the items in display will be for sale and 100% of the sales will go to the artists. Entering its 7th year, the Downtown Eastside Small Arts Grants (DTES SAG) program gives emerging artists living in and/or connected to the Downtown Eastside (DTES) the opportunity to not only develop their artistic practice and portfolio, but to showcase their work to the public in the form of exhibitions and local performances. In 2016-17, Vancouver Foundation funded 103 artists and projects in the DTES for a total of $92,075. One of this year’s grantees who works in photography shared that she is passionate about the medium as an educational force, but added that this grant has had its own educational impact: “I think this grant helped me find the different ways to look at photography. I’m finding myself”. “These artists are a daily inspiration – their creativity knows no bounds,” says Angela Kruger, Coordinator of the program at Carnegie Community Centre. “It is an honour to work with them, and I couldn’t be more excited to celebrate the incredible work and creative aptitude of these artists”.